Samsung Galaxy S4 is getting launched around the world with lots of hype and from today 26th April, 2013, it is available for sale online in India (To Buy Check Options Below). Samsung is planning to outsell this model over its previous models like Galaxy S3. Galaxy S4 is truly a new revolution when it comes to super mobiles with many new additions for first time in mobile history. With its Galaxy mobile series, Samsung has emerged big player in high-tech mobile segment. Samsung Galaxy series mobiles are big success around the world and therefore, we can expect big success for Samsung Galaxy S4. Samsung Galaxy S4 is slowly getting launched around the world and it will be officially launched in India soon (though, you can buy official Samsung Galaxy S4 online below). We can expect it’s availability in India by early next month. As pricing is crucial matter for the success of any device. 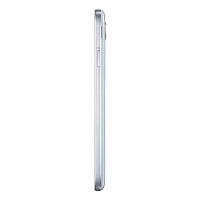 Price of Samsnug Galaxy S4 in India will be Rs 41500. So far it is not available in India and though, every store is geared up to receive its stock. 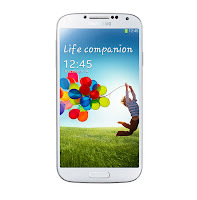 Many sites like homeshop18.com offered advance booking for Samsung Galaxy S4 which got filled in a single day only. All this shows great popularity and expected demand for Samsung Galaxy S4 in India. As stocks of Samsung Galaxy S4 will be available in India then many sites will offer new discounts and offers. Here I will update with you these offers and discounts.